Online Advertising: Getting More Bang for Your Buck! 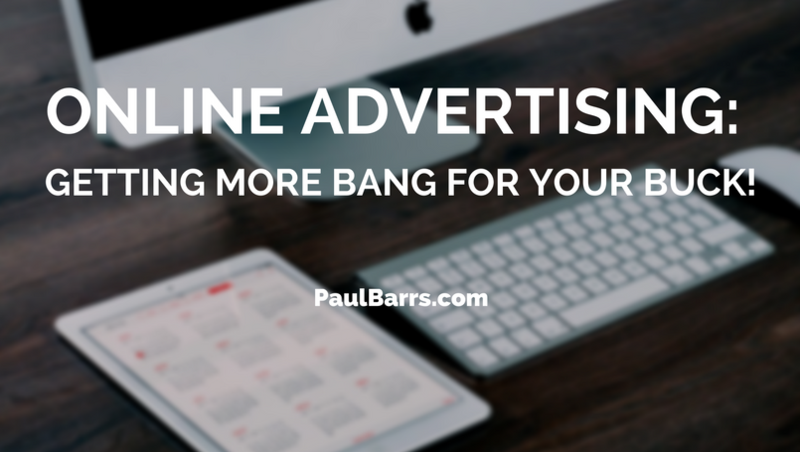 Home > Conversions / Analytics > Online Advertising: Getting More Bang for Your Buck! 08 Jul Online Advertising: Getting More Bang for Your Buck! There’s a myth which I’m sure you’ve heard, it tells us that we have to “spend money in order to make money.” Well yes, but also no. The greatest problem I see in most businesses these days is they’re spending too much money and not making enough in return. Especially when it comes to things online. Number one, your website. For many small businesses the website is the door to their wares. It is where potential customers peer through the window and review what we have to offer. It’s where they “see us” before they make contact or before they buy. Considering it’s importance in the overall sales process, should you invest a reasonable sum of money on your website? Absolutely, without doubt! So why then do so many not? The two options most are faced with are, one, can we do this ourselves, or two, should we spend the money? Here’s the simple answer. You should spend the money. And yes, though I understand the problem – maybe don’t have the money, but you’ve got to consider understand the downside…. One of the new acronyms in today’s online marketplace is CRO… we have to constantly improve our Conversion Rate Optimisation. While this process BEGINS with the initial ad spend, it ENDS on the website. Look at that a moment… it ENDS on your website; either with a contact or sale – or they go away. Either way, it ends there. Most people fail because they focus on getting traffic to the website without investing the correct time or money on the website to increase their conversion rates. Simply put, it doesn’t matter how much traffic you get, if you cannot convert that traffic, the traffic is useless. Two, SEO. Unfortunately, for the small business owner, search engine optimisation isn’t a time effective or cost effective thing. 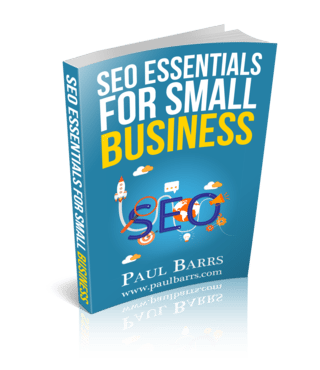 Good on-page SEO and off-page SEO requires considerable time and therefore considerable investment. So once again we are faced with the question, should we do these ourselves, or should we outsource ithem? Here’s my best answer, both. There are many things that you can learn to do yourself, especially in regard to content management which is the ultimate aim of all good modern SEO. However, the setting up of the process, the beginnings of putting everything into place… these are things you should pay an expert for. Why? Because it can make 100% of the difference! Yes, you can learn to do these things yourself, but should you? Is it your job? Is it a good investment of your time or your money? How would your business be best served? It doesn’t matter how much traffic you get if it’s the wrong kind of traffic! Three, social media. We all hear that social media is the way to go out and reach our audience. True. But, as you would know, social media reach and engagement is on the decline, especially with Facebook where our organic content is viewed less and less. The only alternative is to pay to get our content viewed. So… the question is: should we invest the money, or should we just try and repeat, rinse, and do it ourselves? Perhaps the best opportunity here will come what I call the “Done Together” approach (do some yourself, have some done for you). This is a highly effective strategy for many small businesses. Get a professional to set things up for you and then learn how to manage your social media from there. Finally, pay-per-click advertising. And this could refer to either social media PPC, or Google AdWords (or others). Often when we look at the opportunities of paid search vs organic it takes simply too long to get results with organic. After all, we’ve spent money on our website. We need to now draw traffic, don’t we? So, consider the options, what should we do? Same as before. Do some yourself. Get the rest done for you. The done together approach is what works. Have a professional set it up for you and then you manage it. Unless your ad spend is over $2,000 per month with 100 or more keyword phrases that you’re targeting, it should be quite easy for you to manage and learn how to look after your own CPC AdWords campaign. Here’s the thing. It all comes down to this, not just for AdWords but for all avenues of spending online. You must get a return for your investment. I know that sounds simple, but you’d be surprised just how many don’t. The less you spend the easier that is…. However, the less you spend, the more difficult that is! Here’s the problem. Too many business owners are stuck in the old world of advertising. Spend money, send it out to the world, and hope and see that we get some back. No. Marketing online must be targeted, sending it out to the right people and then asking them to come back. Look at it this way. Your most effective strategy, which may take a few years to build, but once done will require no more money to be spent, is to build a tribe of followers. Build a tribe of people who love what you offer, who trust what you say, who see you as the expert, who know you as the authority in your industry. Build that tribe and then with a solid content management strategy, market to them. They are the people who like you. They are the people who will buy from you. Do this effectively and you’ll turn your marketing strategy from spend money, spend money, spend money to make money, make money, make money. It’s a far better option, and it’s based on the simple philosophy of done together. You do some. I do some. It works really well.